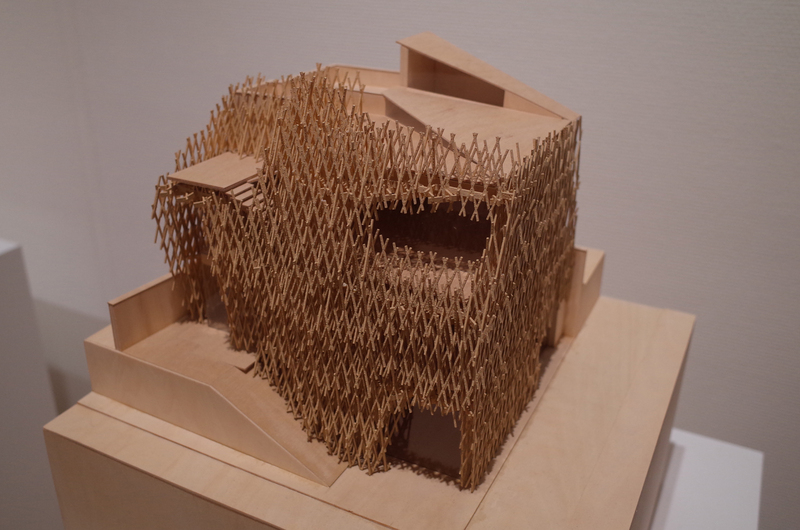 “The end of architectural desire”, “Losing architecture”, “Natural architecture”, “Anti-object”. 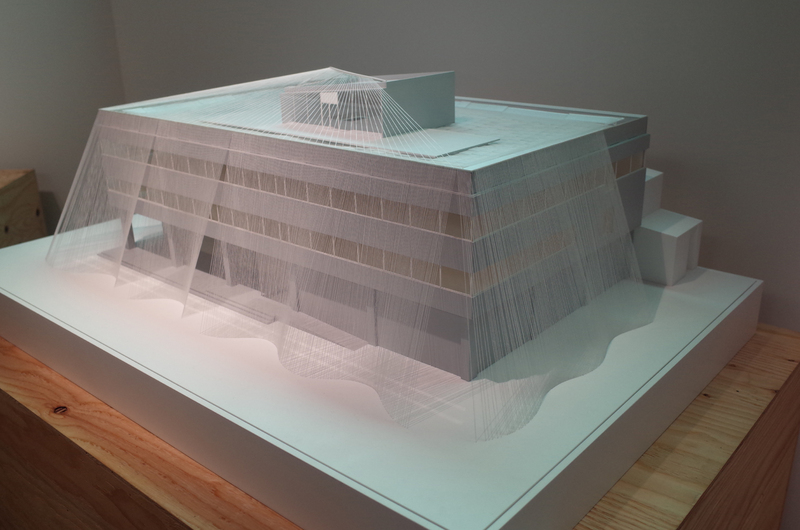 By simply tracing the his book title, you can see that the thing that Kengo Kuma aims for consistently. It was said lost decade after the collapse of the bubble economy in japan, continued solitary fight aiming at anti-object architecture and in around 2000 that he was in a situation like “bottomless seabed”. That is when he found substances. “Even if I deny an object and its shape, it is impossible to deny substance. By encountering something that can not be denied, My architecture has start to change. 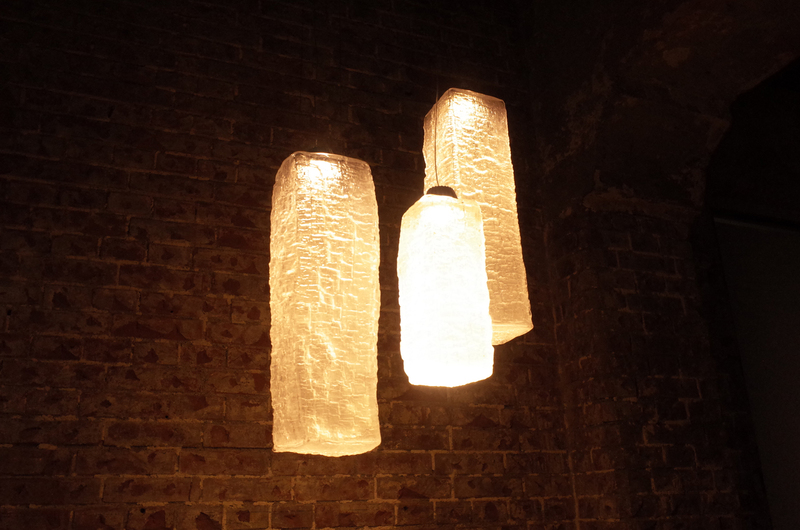 Kuma challenged with loose, thin, light, delicate, naturally derived materials. modernism architecture (with iron, concrete and glass as the main material) even never thought about. “The architectural world became demented while only looking at concrete. 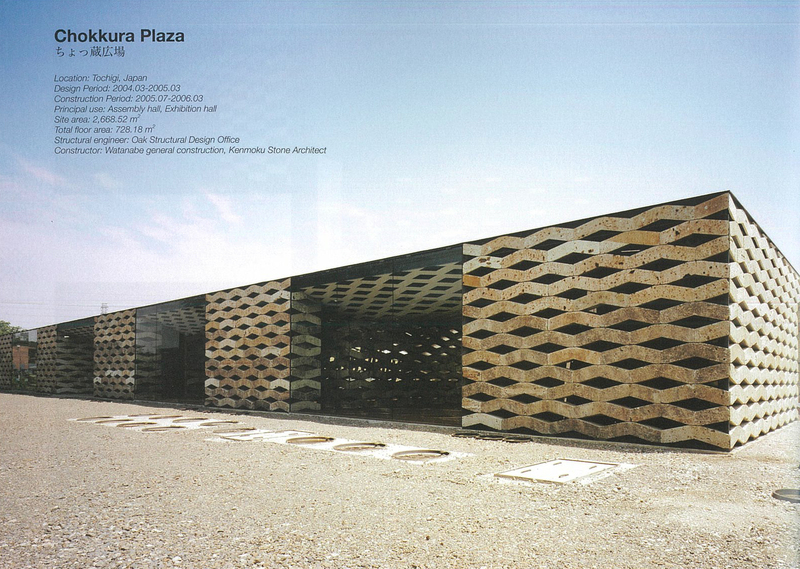 After that, the activity and presence of Kengo Kuma are well publicized. 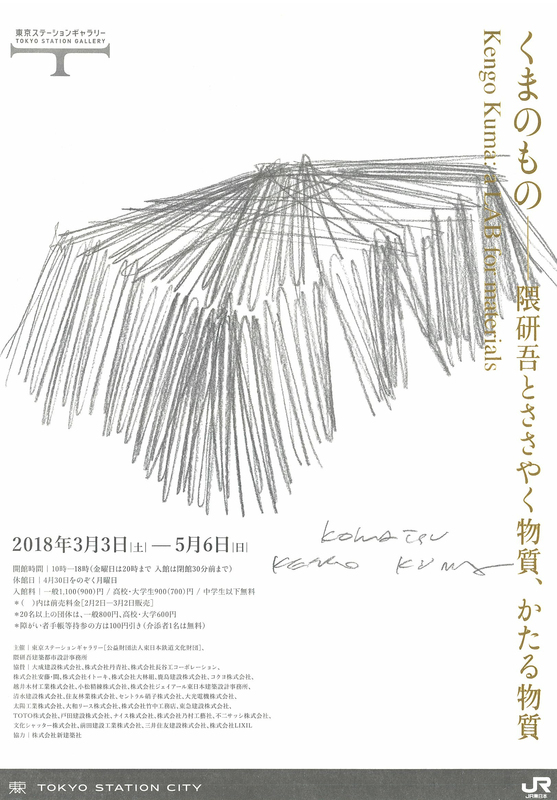 “Kuma no mono (mono menas things/substances, Kuma’s things) – “Whispering substance dialogue with things” exhibition (@ Tokyo Station Gallery, March 3, 2018 – May 6, 2018) has compiled such a track of the architect Kengo Kuma, It is an architectural exhibition declaring the originality of the architecture. Let’s trace its trajectory along with his own words. 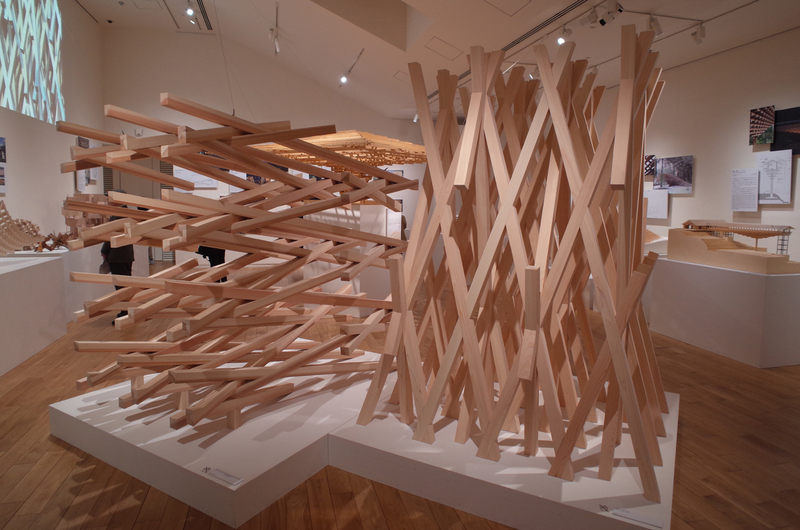 Picture 1 is a structure of “Sunny Hills Japan 2012”, three-dimensional lattice of diagonal hinoki and creates a laminated structure that supports a three-story building. For a vertebrate type rigid structure with a skeleton, it is an insect type structure with a rigid structural hull. The one on the left inPicture 1 of the interior element used in the starbucks coffee in Dazaifu city in Kyusyu where four cypress sticks cross at a stretch. Paper and soil are liquid. When spraying paper or soil on rigid metal, it becomes to ambiguous and soft material. “If the Japanese paper is in the middle between the liquid and the solid, the soil is drifting between the solid and the gas.” “The soil wall can easily be returned to the liquid if you wipe the wall with a wet rag. The soil wall is just changeable and free. 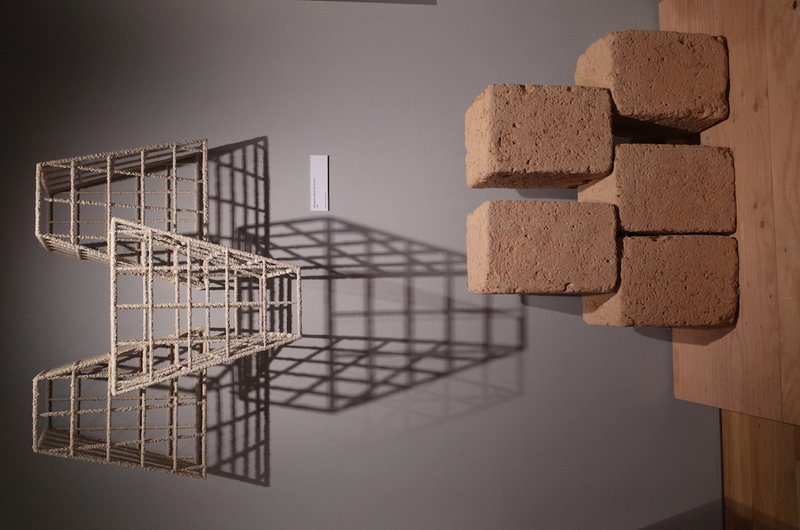 Picture 3 is a sun-dried brick block using local Toyoura soil in Yamaguchi Prefecture. The top is a stainless steel mesh with mixed earth glass mixed with earth used in the monument titled . Even the houses of conventional construction methods do not see earth now. Because it has been thoroughly eliminated in modernism architecture, the coarse and fuzzy graininess of the earth looks rather fresh as it is now. “I hated to stick a stone on the concrete. I could not bear that lie. 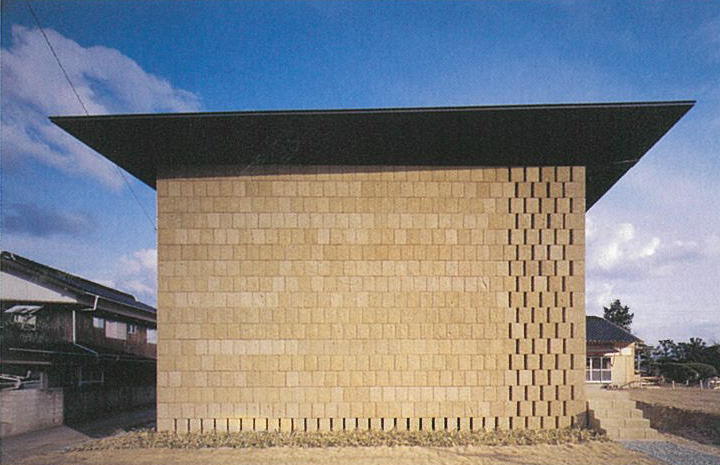 Twentieth century architecture, in short, has been with texture mapping on concrete. Photo 5 We used a porous pumice tuff rock Oiya stone block diagonally using iron plate as a reinforcement. The weight feeling of stone, texture and floating feeling, which were impossible in the past, coexist. Glass is not just a transparent, it is not simple. Glass is earth, fire and liquid. It was only forgotten that the glass was soil, fire, liquid. Mies also watered the Barcelona Pavilion (1929) and combined it with glass, We focused on the fact that glass behaves variously as a substance, not just transparent or nothing. Photo 7 is Yakisugi Collection · 2017 a glass product with 3-dimensional cedar texture attached . The identical pattern does not exist. Collaboration with the Czech glass factory. An attempt to overturn recognition in modernism architecture, a glass material as a uniform and transparent. We are wearing fibers called clothingon the body. We are creatures made of fibers. And overlaps / fuses the architecture of fiber. 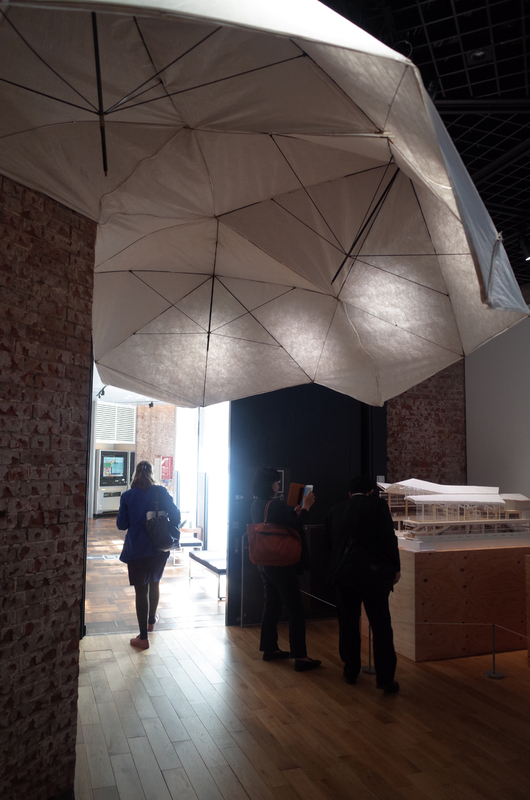 Photo 8 is a work called in which a nomad type architecture is generated with the umbrella brought. Fuller dome is formed by sewing 15 umbrellas with waterproof zipper. It is also a type of tensegrity structure in which the membrane material functions as a tensile material and the umbrella bone functions as a compression material. A tribute to the pioneer Bakminster Fuller who denied the building as an established concept. Picture 9 Carbon fiber is said to possess 7 times the tensile strength of iron and its potential as a building material attracts attention. 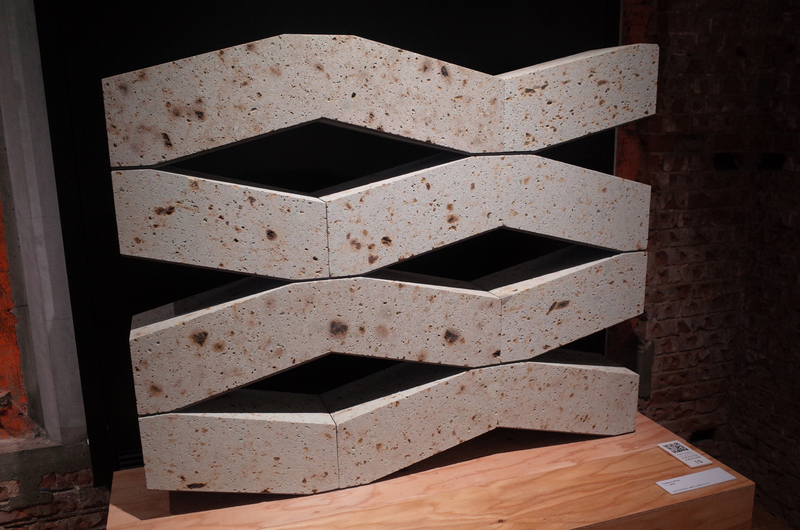 Komatsu Seisaku Fabric Laboratory 2014 using this as an earthquake resistant reinforcement material of existing concrete building . Flexibility as a fiber is utilized by applying the technique of thread twisting in the local Hokuriku. 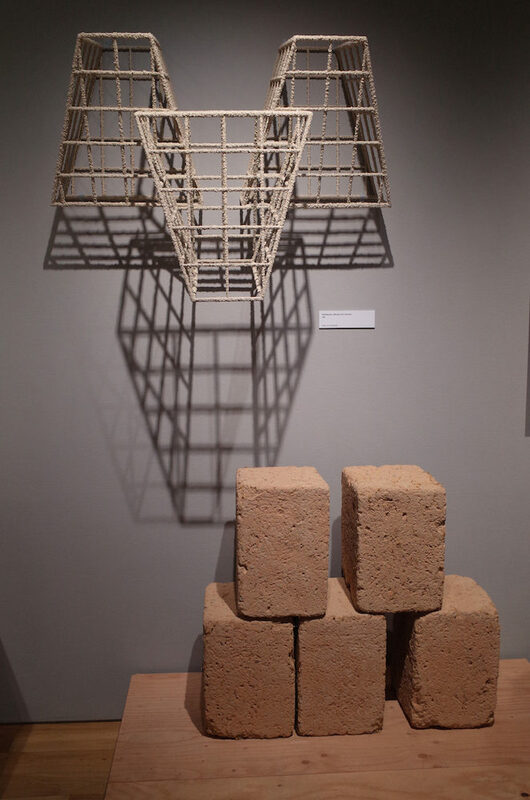 It seems that the possibility of overcoming the existence of delicate, transparent, soft and strong, 20th century concrete seems to be visualized. “The architect of the 20th century wanted to call architecture as a artwork. The product with artistic added value was called a artwork. People thought that the work releases the aura from the disconnection with the environment. As a result of the disconnection, the work was sold at high price and the disconnected work destroyed the environment of the 20th century. And it is still growing. “I do not want to leave a work, I want to leave one laboratory. Working on substances, together with materials, together with various researchers and engineers, various things I want to leave a lab that tries new things. Architectural work is only one section of lab activity. I have recently come to think that every single architecture is not a work, but the flow that connects each architecture is a work.